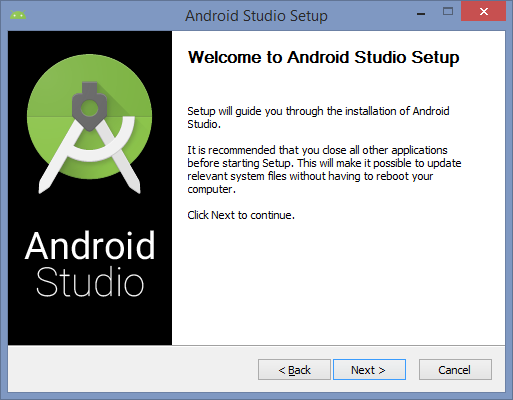 Recently I was in a situation where I needed to demonstrate an Android App to a client, but didn’t have an Android device with me. I did however, have a Windows tablet with an internet connection to my development machine which does have an Android device, albeit a virtual one! Note: if you’re in this just to run Android apps on your pc and you’re not a developer, you might want to consider BlueStacks (Google Bing it). Personally, I don’t like it as it’s very invasive and the service that it installs kept crashing but YMMV. This guide assumes you already have Hyper-V installed, and that you have a fairly powerful machine. I’ve tried this on my machine development machine (i7 5960x, 32GB RAM) and a lower-end test machine (i5 2400, 12GB RAM) and both work perfectly with no lag. 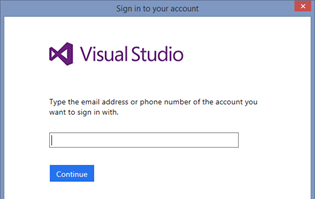 This is totally free and doesn’t require a Visual Studio/MSDN subscription. 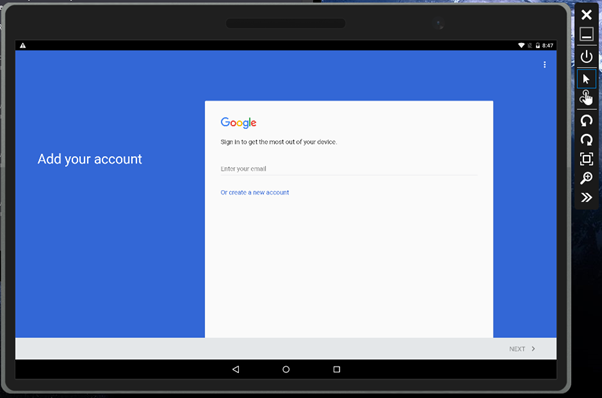 You’ll be prompted to sign in with your Microsoft account – you can just use a free Hotmail account if you wish. At this point you’ll be prompted to setup “profiles”. These are the specifications of the virtual devices that you want to launch. 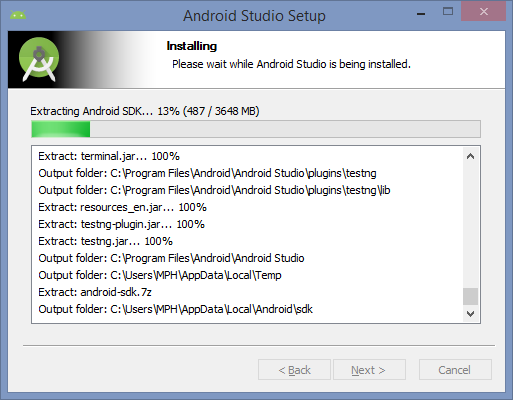 Next, select a device that you wish to run – I choose the 10.1″ Lollipop “Nexus 10” device and clicked Install profile. 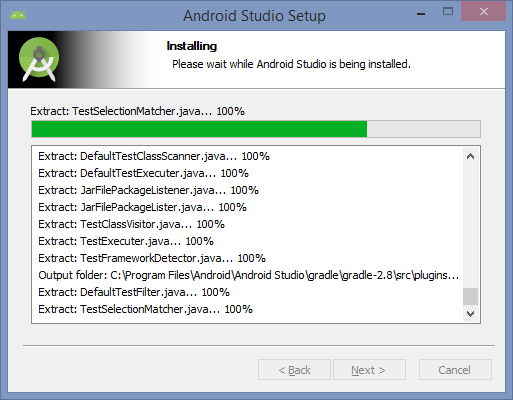 At this point, if you don’t have the Android SDK installed, you’ll get this: Otherwise skip ahead! 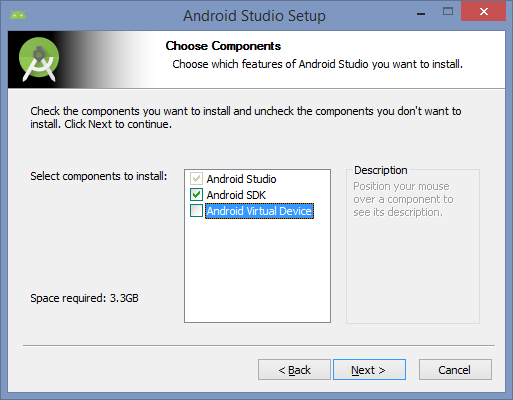 But uncheck the ‘Android Virtual Device’ – we’re using the Visual Studio one (because it’s better). This takes AGES – but eventually you’ll get the completed screen. 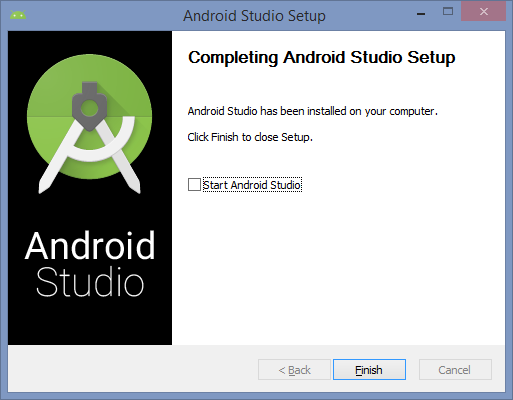 Untick ‘Start Android Studio’ and hit finish. And that’s it! 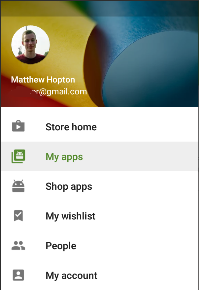 You can now install Apps from the Google Play store and run them as if you were actually using a Tablet. 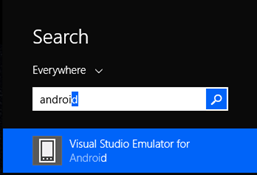 I prefer using the Visual Studio Emulator over the normal Google one, as it shows up as a ‘Physical Device’ to other Android development tools (such as Xamarin, and even the Android Studio suite itself). They seem to ‘play nicer’ with physical devices for some reason (and you don’t have to wait ages for it to start up!). 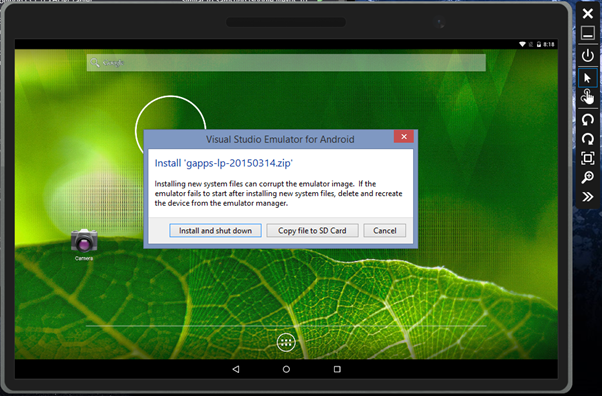 Within Visual Studio, when developing an Android project (for example through Xamarin) the emulator will show up as a debugging target, which is nice. 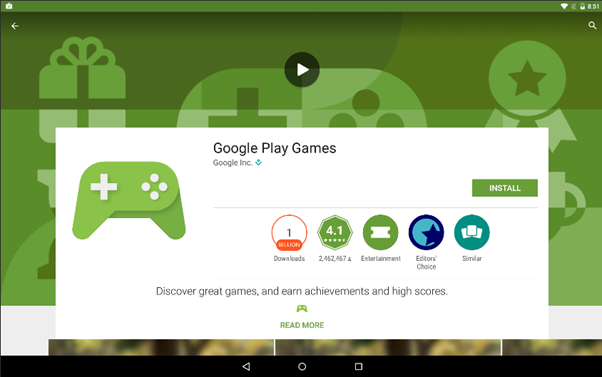 Just for fun, I decided to see if the emulator (and Google) will let you install Google Play Games, and play something. 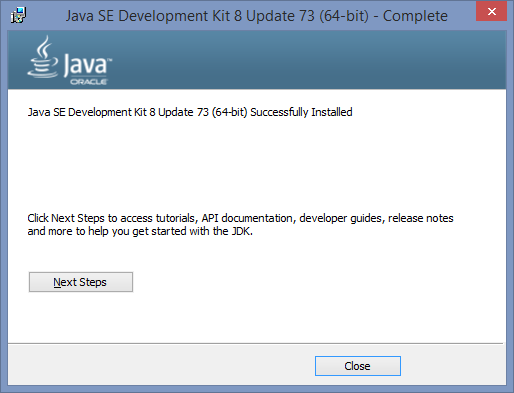 Install it and then search for and install the game of your choice. 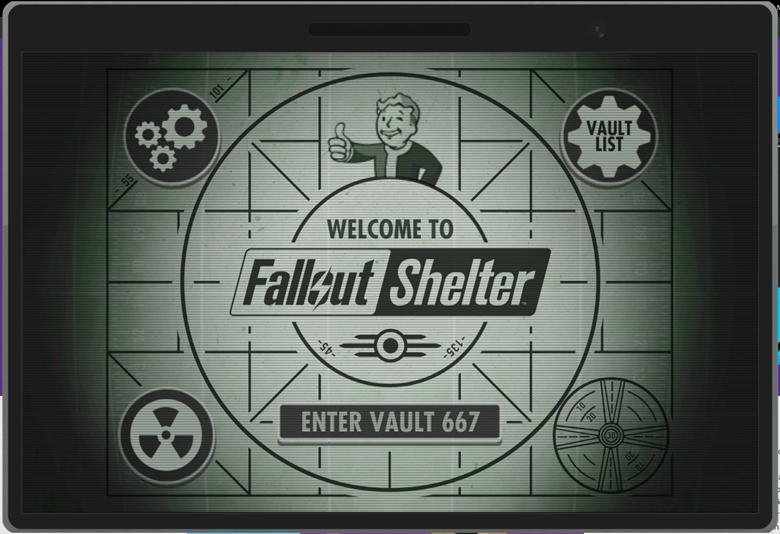 Here I went for Fallout Shelter – great game, you should play it! 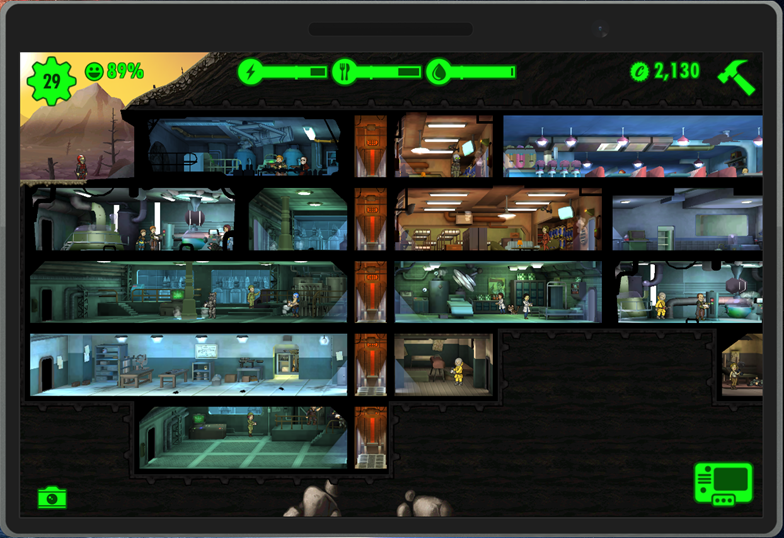 Before you knew it – Fallout Shelter, on Windows!